CHARLESTON, West Virginia – Benchmark Litigation named Bowles Rice its “West Virginia Firm of the Year” during its 2017 U.S. awards ceremony at the Essex House Hotel in New York City on February 16. 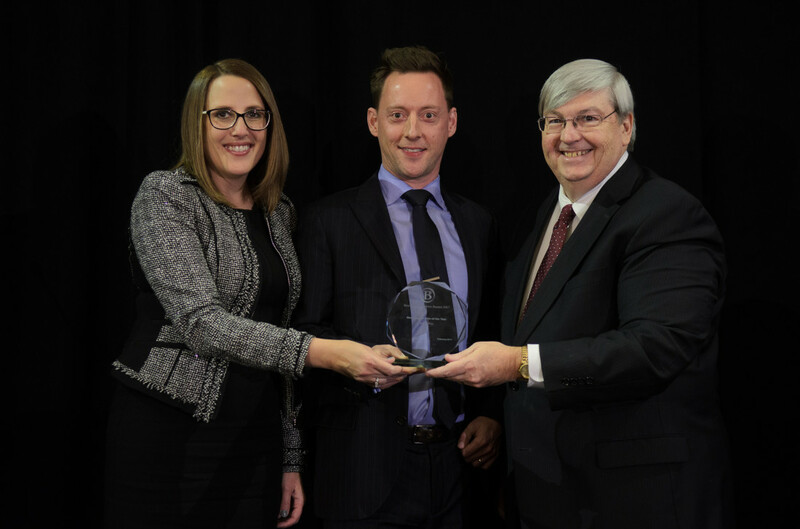 Representatives from nearly 100 private practice firms were on-hand, including Bowles Rice attorneys Gerard R. Stowers and Jill E. Hall, who accepted the award on Bowles Rice’s behalf. Stuart McMillian, chairman of the Bowles Rice Litigation Department, called the honor a nice recognition of the firm’s high-end and specialty litigation work.